A new variation on Mandelbrot Fractals. The Mandelbrot Foam formula was from this forum post. Shaders to create these fractals are now included in the Custom Formula Editor mode of Visions of Chaos. Hybrid fractals occur when you alternate between fractal formulas during the inside iteration loop of generating a fractal. The idea came from posts on the old Fractal Forums site. 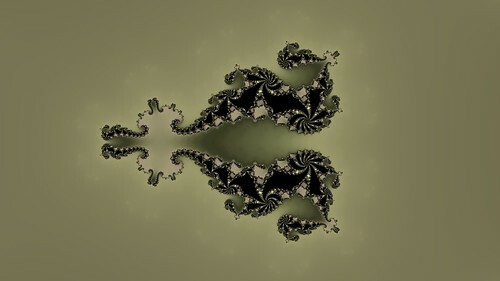 For example, rather than the usual Mandelbrot Fractal iteration, you can modify the inside loop to alternate between the Mandelbrot, then the Burning Ship, then the Mandelbrot, and the Mandelbrot again. You then repeat the sequence for as many iterations as that pixel needs. The code to create this (and other hybrid formulas) is included with Visions of Chaos, but you can also see the OpenGL shader code for it here. I have also used the same hybrid technique for 3D Mandelbulb Fractals as shown here. After a good suggestion from one of my long term users I have now added the ability to change the color palette during fractal zoom scripts in Visions of Chaos. When creating a zoom movie script you can change and set a color palette for every key frame. While Visions of Chaos generates the movie frames the colors of the palettes will smoothly fade from one palette to the next. Here is a quick sample movie showing the results. A different color palette was specified for the key frames every 2 seconds. Today marks 10 years since I started my YouTube channel. Back then a video with a resolution of 240p (426×240 pixels) like the following was considered OK. These days I can upload a 4K video (nine times the vertical and horizontal resolution of that 240p video) and once YouTube puts it through their internal conversion routines it will usually come out looking excellent. 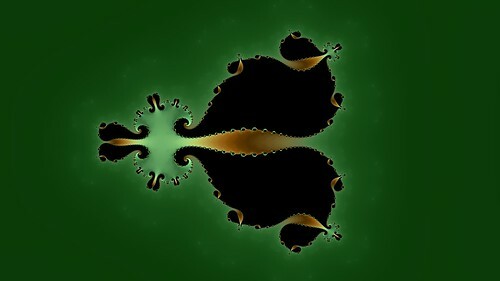 The Burning Ship Fractal is a slight variant on the Mandelbrot Set Fractal. The basic Mandelbrot Fractal formula is z=z^2+c. The Burning Ship Fractal formula is z=abs(z)^2+c. The following image is the standard power 2 Burning Ship Fractal rendered using CPM smooth coloring. Zooming in to the right antenna part of the fractal shows why it was named the Burning Ship. The next 3 images change the exponent 2 in z=abs(z)^2+c to 3, 4 and 5. All of the above images and movies were created with Visions of Chaos. 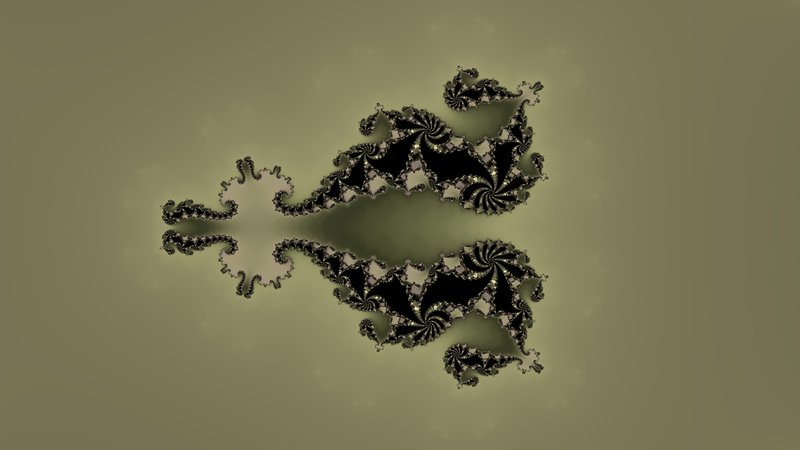 Ian McDonald came up with a new novel way to render Mandelbrot (actually Julia) Set fractals. Then you use the level 3 formula and render it as a Julia Set. The following movie shows the complex C changing slowly from 0 to -0.2 and three zooms into Meta-Mandelbrots. Unfortunately because these are Julia sets the shapes deeper in are virtually identical to the original fractal. 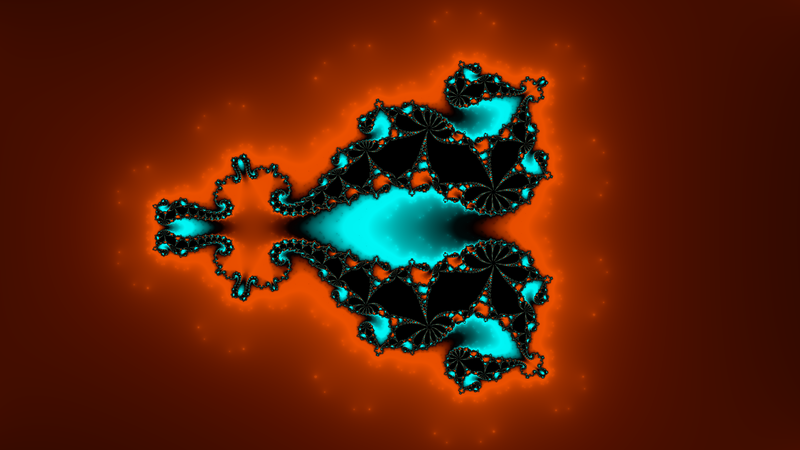 You don’t get those totally different looking areas as you do with Mandelbrot fractals. For more information see the original Fractal Forums post here. The GLSL shader to generate these fractals is now included with Visions of Chaos. In the video game industry older games get remastered all the time. Hardware power improves so older games are adapted to have better graphics and sound etc. So for a nostalgic trip into history (at least for me) it was time for some Visions of Chaos movie remasters. After recently adding the new Custom Formula Editor into Visions of Chaos I decided to go back and re-render some sample Mandelbrot movies at 4K 60fps. Most of these Mandelbrot movie scripts go back to the earliest days of Visions of Chaos even before I first released it on the Internet. The only changes made have been to add more sub frames so they render more smoothly and last longer. Thanks to the new formula editor using OpenGL shading language and a recent NVidia GPU all the movie parts rendered overnight. Every frame was 2×2 supsampled so the equivalent of rendering an image 4 times as large and then downsampling to increase the quality. The original movie was a 46 GB XVID encoded AVI before YouTube put it through all of its internal recoding steps.